During its 25 year long mission the Hubble Space Telescope has changed our view of the Universe significantly. Some of the most ground-breaking discoveries made in astronomy in the 20th century were made by Hubble, which allows astronomers to better understand the world we live in and investigate its mysteries even further. One of the main scientific justifications for building Hubble was to measure the size and age of the Universe and test theories about its origin. Images of faint galaxies give “fossil” clues as to how the Universe looked in the remote past and how it may have evolved with time. The Deep Fields gave astronomers the first really clear look back to the time when galaxies were forming. The first deep fields — Hubble Deep Field North and South — gave astronomers a peephole to the ancient Universe for the first time, and caused a real revolution in modern astronomy. Subsequent deep imagery from Hubble, including the Hubble Ultra Deep Field, has revealed the most distant galaxies ever observed. Because of the time it has taken their light to reach us, we see some of these galaxies as they were just half a billion years after the Big Bang. Deep field observations are long-lasting observations of a particular region of the sky intended to reveal faint objects by collecting the light from them for an appropriately long time. The ‘deeper’ the observation is (i.e. longer exposure time), the fainter are the objects that become visible on the images. Astronomical objects can either look faint because their natural brightness is low, or because of their distance. In the case of the Hubble Deep and Ultra Deep Fields, it is the extreme distances involved which make them faint, and hence make observations challenging. Using the different Hubble Deep fields astronomers were able to study young galaxies in the early Universe and the most distant primeval galaxies. The different deep fields are also a good gathering grounds to find the most distant objects ever observed. Within 2012 and 2014 Hubble created two new deep fields: The Hubble eXtreme Deep Field is so far the deepest image ever taken of the sky so far and combines the light of one million seconds of observation. 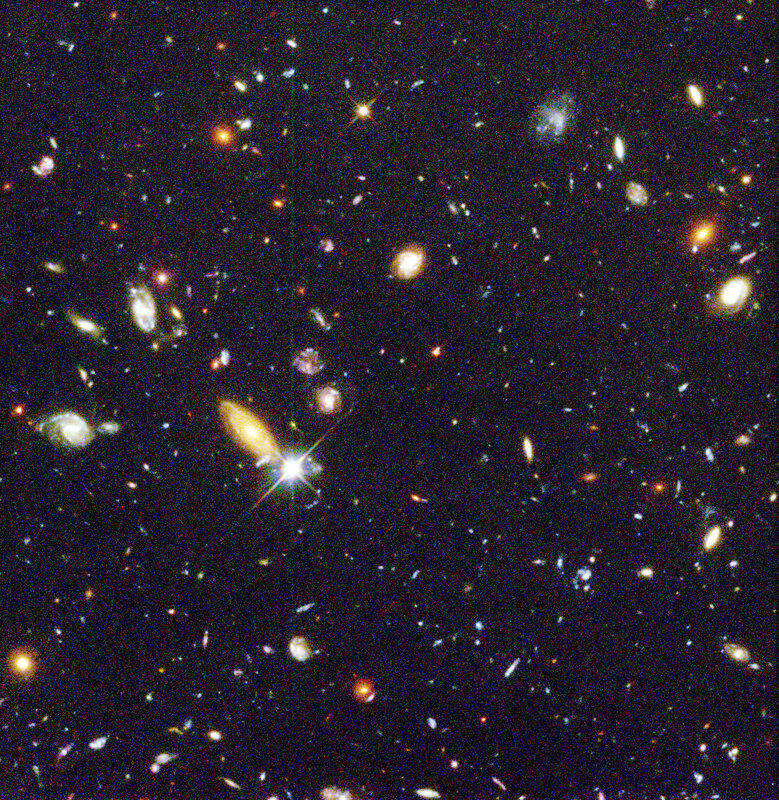 The last Hubble Ultra Deep Field released in 2014 was observed in ultraviolet. This image allowed astronomers to study star formation in a region 5 to 10 light- years away from us. The top ranked scientific justification for building Hubble was to determine the size and age of the Universe through observations of Cepheid variables. The periodic brightness variations of these stars depends on physical properties of the stars such as their mass and true brightness. This means that astronomers, just by looking at the variability of their light, can find out about the Cepheids’ physical nature, which then can be used to determine their distance. 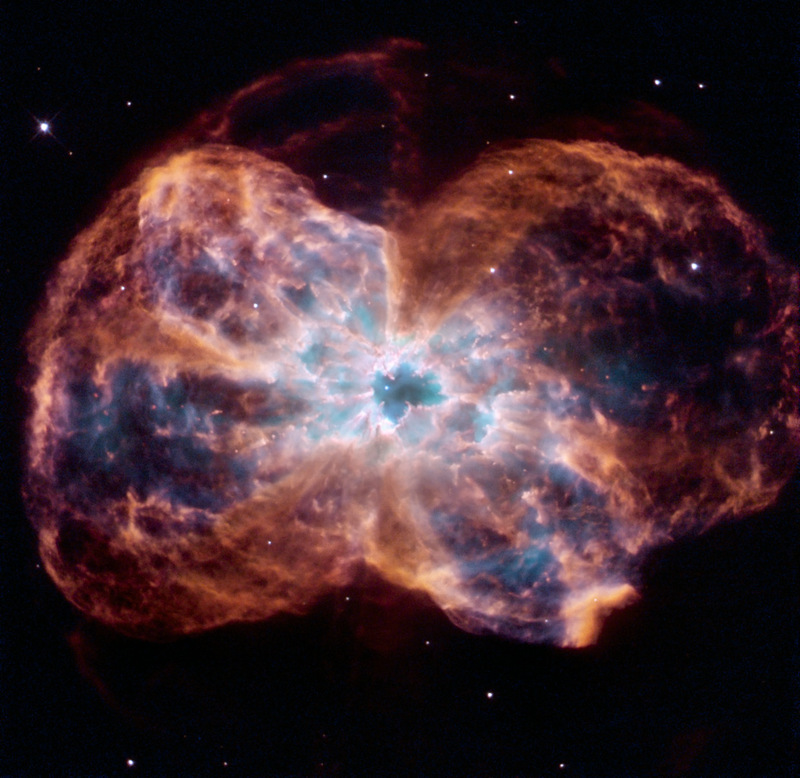 Astronomers have used Hubble to observe Cepheids with extraordinary results. The Cepheids have then been used as stepping-stones to make distance measurements for supernovae, which have, in turn, given a measure for the scale of the Universe. Today we know the age of the Universe to a much higher precision than before Hubble: around 13.7 billion years. Another purposes of Hubble was to determine the rate of expansion of the Universe, known as the Hubble Constant. After eight years of Cepheid observations this work was concluded by finding that the expansion increases with 70 km/second for every 3.26 million light-years you look further out into space. For many years cosmologists have discussed whether the expansion of the Universe would stop in some distant future or continue ever more slowly. The observations of distant supernovae made by Hubble indicate that the expansion is nowhere near slowing down. In fact, due to some mysterious property of space itself, called dark energy, the expansion is accelerating. This surprising conclusion came from combined measurements of remote supernovae with most of the world’s top-class telescopes, including Hubble. The discovery of the accelerating expansion of the Universe led to three astronomers, Saul Perlmutter, Adam Riess and Brian Schmidt, being awarded the 2011 Nobel Prize in Physics. Most of the light and radiation we can observe in the Universe originates in stars — individual stars, clusters of stars, nebulae lit by stars and galaxies composed of billions of stars. Like human beings stars are born, mature and eventually die. Hubble has gone beyond what can be achieved by other observatories by linking together studies of the births, lives and deaths of individual stars with theories of stellar evolution. In particular Hubble’s ability to probe stars in other galaxies enables scientists to investigate the influence of different environments on the lives of stars. This is crucial in order to be able to complement our understanding of the Milky Way galaxy with that of other galaxies. Hubble’s work allowed it to link star formation with stellar evolution. Its infrared instruments are capable of looking through the dust clouds surrounding newly born stars. Some of the most surprising discoveries so far have come about by peering through the clouds of dust surrounding the centre of our Milky Way. Astronomers found that this centre, which was thought to be a calm and almost dead region, is in fact populated with massive infant stars gathered into clusters. The last phases of solar-like stars have been investigated through observations of planetary nebulae and proto-planetary nebulae. 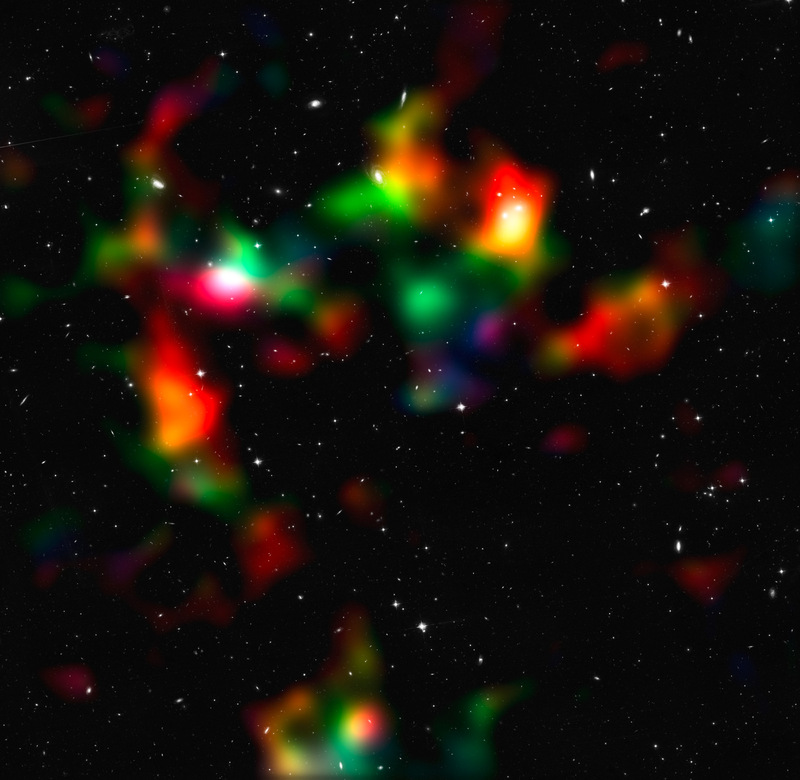 These are colourful shells of gas expelled into space by dying stars. The varying shapes and colours of these intricate structures with different colours tracing different, often newly created, chemical elements, have shown that the final stages of the lives of stars are more complex than once thought and there also seems to exit a bizarre alignment of planetary nebula. Gamma Ray Bursts emit very intense gamma-ray radiation for short periods and are observed a few times per day by special gamma-ray detectors on observatories in space. Today, partly due to Hubble, we know that these bursts originate in other galaxies — often at very large distances. Their origin has eluded scientists for a long time, but, after Hubble observations of the atypical supernova SN1998bw and the Gamma Ray Burst GRB 980425 a physical connection of these became probable. An unusual burst of radiation detected in early 2011 may tell a different story: rather than a star ending its life in a supernova, this burst may be evidence of a star being ripped apart as it falls into a supermassive black hole. If confirmed by further observations, this would be the first time this phenomenon has ever been spotted. Hubble’s high resolution images of the planets and moons in our Solar System can only be surpassed by pictures taken from spacecraft that actually visit them. Hubble even has one advantage over these probes: it can look at these objects periodically and so observe them over much longer periods than any passing probe could. Regular monitoring of planetary surfaces is vital in the study of planetary atmospheres and geology, where evolving weather patterns such as dust storms can reveal much about the underlying processes. In comparison with probes that have to travel vast distances and require years of planning to visit the planets Hubble is also able to react quickly to sudden dramatic events occurring in the Solar System. This allowed it to witness the stunning plunge of comet Shoemaker-Levy 9 into Jupiter’s atmosphere during the period 16-22 July 1994. Hubble followed the comet fragments on their last journey and delivered incredible high-resolution images of the impact scars. The consequences of the impact could be seen for several days afterwards, and by studying the Hubble data astronomers were able to gain fundamental information about the composition and density of the giant planet’s atmosphere. Since the impact of Shoemaker-Levy 9, Hubble has continued to study impacts and events on Jupiter, improving our understanding of the Solar System’s largest planet. 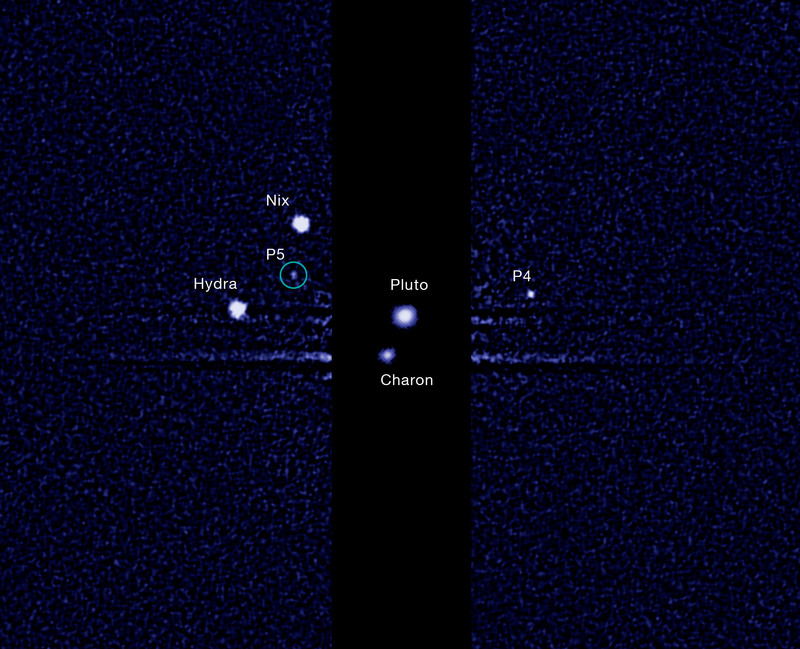 Pluto and its surrounding moons have also been the target of Hubble’s observations. Several new moons have been discovered as well as a dwarf planet beyond Pluto, which led to the discussion of Pluto being a planet. Hubble also observed the spectacular break up of comet 73P/Schwassmann-Wachmann 3 as it visited the inner Solar System, the asteroid collision P2010/A2 and a mysterious disintegrating asteroid. Hubble’s high resolution has been indispensable in the investigation of the gas and dust disks, dubbed proplyds, around the newly born stars in the Orion Nebula. The proplyds may very well be young planetary systems in the early stages of creation. Also thanks to Hubble we have visual proof today that dusty disks around young stars are common. The first detection of an atmosphere around an extrasolar planet was seen in a gas-giant planet orbiting the Sun-like star HD 209458, 150 light-years from Earth. The presence of sodium as well as evaporating hydrogen, oxygen and carbon was detected in light filtered through the planet’s atmosphere when it passed in front of its star as seen from Earth. The details revealed by Hubble are superior to anything seen to date with ground-based instruments. In 2012 Hubble even discovered a complete new type of extra-solar planet: a water world enshrouded by a thick, steamy atmosphere. Later Hubble was able to measure for the first time the colour and to create the most detailed weather map an exoplanet. Black holes are objects so dense, and with so much mass, that even light cannot escape their gravity. 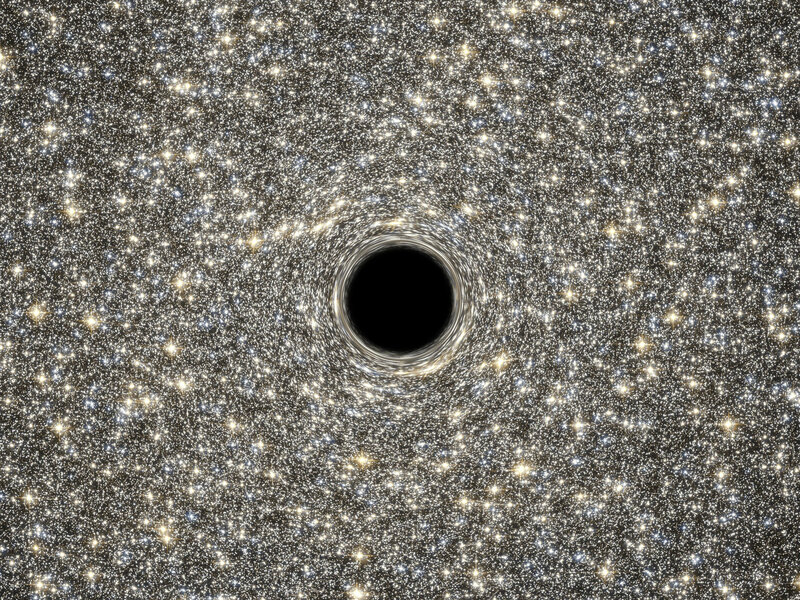 It is in the study of supermassive black holes that Hubble has made its biggest contribution. It is impossible to observe black holes directly, and astronomers had no way to test their theories until Hubble started it work. The high resolution of Hubble made it possible to see the effects of the gravitational attraction of some of these objects on their surroundings. Hubble has also proved that supermassive black holes are most likely present at the centres of most, if not all, large galaxies. This has important implications for the theories of galaxy formation and evolution. As black holes themselves, by definition, cannot be observed, astronomers have to study their effects on their surroundings. These include powerful jets of electrons that travel many thousands of light years from the centres of the galaxies. Matter falling towards a black hole can also be seen emitting bright light and if the speed of this falling matter can be measured, it is possible to determine the mass of the black hole itself. This is not an easy task and it requires the extraordinary capabilities of Hubble to carry out these sophisticated measurements. Hubble observations have been fundamental in the study of the jets and discs of matter around a number of black holes. Accurate measurements of the masses have been possible for the first time. Hubble has found black holes 3 billion times as massive as our Sun at the centre of some galaxies. While this might have been expected, Hubble has surprised everyone by providing strong evidence that black holes exist at the centres of all large and even small galaxies. Hubble also managed not only to observe the jets created by black holes but also the glowing discs of material surrounding a supermassive black hole. Furthermore, it appears that larger galaxies are the hosts of larger black holes. There must be some mechanism that links the formation of the galaxy to that of its black hole and vice versa. This has profound implications for theories of galaxy formation and evolution and is an ongoing area of research in astronomy. Before Hubble, quasars were considered to be isolated star-like objects of a mysterious nature. Hubble has observed several quasars and found that they all reside at galactic centres. Today most scientists believe that supermassive black holes at the galactic centres are the “engines” that power the quasars. They also believe that quasars, radio galaxies and the centres of so-called active galaxies just are different views of more or less the same phenomenon: a black hole with energetic jets beaming out from two sides. When the beam is directed towards us we see the bright lighthouse of a quasar. When the orientation of the system is different we observe it as an active galaxy or a radio galaxy. 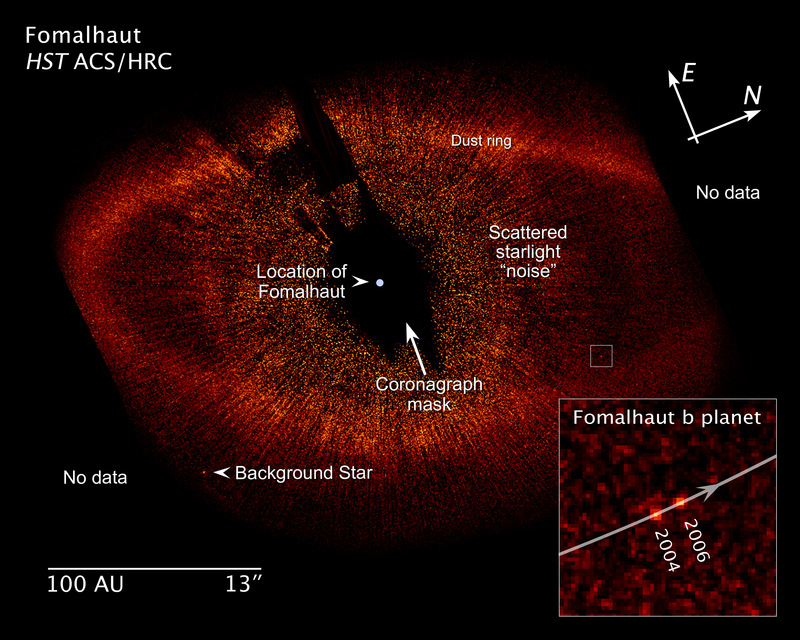 This unified model has gained considerable support through a number of Hubble observational programmes. The important clues about star formation lie hidden behind the veil of the dusty, and often very beautiful, star forming molecular clouds. Astronomers turn their eyes to the birth of other stars and stellar systems in neighbouring stellar ‘maternity wards’ and use these to see a replay of the events that created our own Solar System. The large mosaic of 15 Hubble images showing the central part of the Orion complex is one of the most detailed images of a star forming region ever made. Dust clouds scatter visible light, but let infrared light through unimpeded, meaning infrared observations are often the only way to see young stars. During the servicing mission in 2009 the Wide Field Camera 3 (WFC3) was installed. An instrument designed to make detailed images both in visible light and in infrared. The WFC3 offers greatly improved capabilities in the infrared compared to what was possible before. 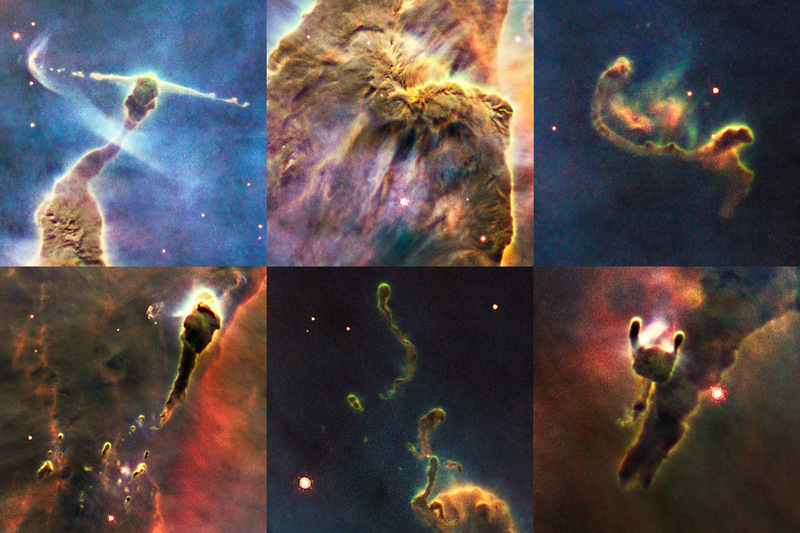 WFC3’s images of the Carina Nebula made in visible light show dense clouds of dust and gas. But the images taken by the camera of the same region in infrared make the dust fade, leaving just a faint outline of its location. The young stars forming inside the cloud are suddenly revealed. Hubble has also contributed to our understanding of star formation beyond the confines of the Milky Way. Neither Hubble nor any other telescope is able to see individual stars outside of the Milky Way and a handful of nearby galaxies. However, the telescope has contributed to major discoveries about star formation in the far reaches of the Universe. Studying starlight from the most distant objects Hubble has observed gives clues about how stars formed in the early years of the Universe, and how they have changed over time. Hubble discoveries in the field of star formation in the early Universe include the realisation that stars and galaxies formed earlier in cosmic history than previously thought. All over the Universe stars work as giant reprocessing plants taking light chemical elements and transforming them into heavier ones. The original, primordial, composition of the Universe is studied in such fine detail because it is one of the keys to our understanding of processes in the very early Universe. Astronomers investigated the nature of the gaseous matter that fills the vast volume of intergalactic space. By observing ultraviolet light from a distant quasar, which would otherwise have been absorbed by the Earth’s atmosphere, scientists found the long-sought signature of helium in the early Universe. This was an important piece of supporting evidence for the Big Bang theory. It also confirmed scientists’ expectation that, in the very early Universe, matter not yet locked up in stars and galaxies was nearly completely ionised (the atoms were stripped of their electrons). This was an important step forward for cosmology. Today astronomers believe that around three quarters of the mass of the Universe consists of dark matter, a substance quite different from the normal matter that makes up the familiar world around us. Hubble has played an important part in work intended to establish the amount of dark matter in the Universe and to determine where it is. The riddle of what the ghostly dark matter is made of is still far from solved, but Hubble’s incredibly sharp observations of gravitational lenses have provided stepping stones for future work in this area. Dark matter only interacts with gravity, which means it neither reflects, emits nor obstructs light. Because of this, it cannot be observed directly. However, Hubble studies of how clusters of galaxies bend the light that passes through them lets astronomers deduce where the hidden mass lies. This means that they are able to make maps of where the dark matter lies in a cluster. One of Hubble’s big breakthroughs in this area is the discovery of how dark matter behaves when clusters collide with each other. Studies of a number of these clusters have shown that the location of dark matter does not match the distribution of hot gas. This strongly supports theories about dark matter: we expect hot gases to slow down as they hit each other and the pressure increases. Dark matter, on the other hand, should not experience friction or pressure, so we would expect it to pass through the collision relatively unhindered. Hubble and Chandra observations have indeed confirmed that this is the case. In 2007 an international team of astronomers used Hubble to create the first three-dimensional map of the large-scale distribution of dark matter in the Universe. It was constructed by measuring the shapes of half a million galaxies observed by Hubble. The light of these galaxies travelled — until it reached Hubble — down a path interrupted by clumps of dark matter which deformed the appearance of the galaxies. Astronomers used the observed distortion of the galaxies shapes to reconstruct their original shape and could therefore also calculate the distribution of dark matter in between. This map showed that normal matter, largely in the form of galaxies, accumulates along the densest concentrations of dark matter. The created map stretches halfway back to the beginning of the Universe and shows how dark matter grew increasingly clumpy as it collapsed under gravity. Mapping dark matter distribution down to even smaller scales is fundamental for our understanding of how galaxies grew and clustered over billions of years. 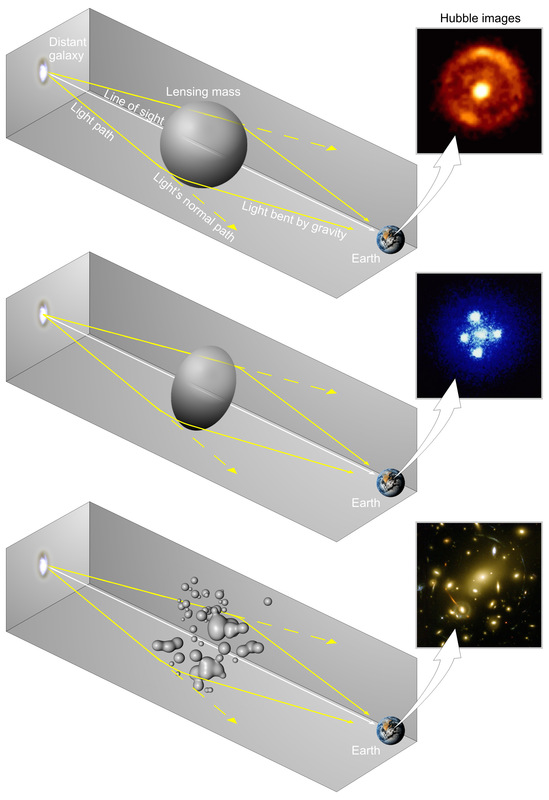 Tracing the growth of clustering in dark matter may eventually also shed light on dark energy. More intriguing still than dark matter is dark energy. Hubble studies of the expansion rate of the Universe have found that the expansion is actually speeding up. Astronomers have explained this using the theory of dark energy, as a sort of negative gravity that pushes the Universe apart ever faster. Studies of the rate of expansion of the cosmos suggests that dark energy is by far the largest part of the Universe’s mass-energy content, far outweighing both normal matter and dark matter. While astronomers have been able to take steps along the path to understanding how dark energy works and what it does, its true nature is still a mystery. Light does not always travel in straight lines. Einstein predicted in his Theory of General Relativity that massive objects will deform the fabric of space itself. When light passes one of these objects, such as a cluster of galaxies, its path is changed slightly. This effect, called gravitational lensing, is only visible in rare cases and only the best telescopes can observe the related phenomena. Hubble’s sensitivity and high resolution allow it to see faint and distant gravitational lenses that cannot be detected with ground-based telescopes. The gravitational lensing results in multiple images of the original galaxy each with a characteristically distorted banana-like shape or even into rings. Hubble was the first telescope to resolve details within these multiple banana-shaped arcs. Its sharp vision can reveal the shape and internal structure of the lensed background galaxies directly and in this way one can easily match the different arcs coming from the same background object — be it a galaxy or even a supernova — by eye. Since the amount of lensing depends on the total mass of the cluster, gravitational lensing can be used to “weigh” clusters. This has considerably improved our understanding of the distribution of the dark matter in galaxy clusters and hence in the Universe as a whole. The effect of gravitational lensing also allowed a first step towards revealing the mystery of the dark energy. As gravitational lenses function as magnification glasses it is possible to use them to study distant galaxies from the early Universe, which otherwise would be impossible to see.